I fully intended on posting last week, and I’d been gathering articles and writing down ideas. Then Annie’s birthday party happened. Twelve girls spent the night at our house…notice I didn’t say, “slept,” because I’m pretty sure most of them didn’t. I know I didn’t! I am WAY. TOO. OLD. to stay up all night. I was a WRECK on Sunday, and I have needed the entire week to recover. Seriously! I honestly felt like I had a concussion, and was in a fog until yesterday. I told Annie that was her last sleepover party because I don’t think I could survive another one! But you guys? Annie is NINE. How on earth did that happen?!?! ~Is Sunscreen the New Margarine? ~Baseball Offered Millions to Entice Kyler Murray. But the Heisman Trophy Winner Wants Football. I pointed out to Mike that, upon turning nine, Annie is halfway to adulthood. That’s so nuts to think about…and a little overwhelming, because there’s still sooooo much to teach her to make sure she becomes a functional adult! But, even though these last nine years have flown by (and I’m sure the next nine will, too), that’s still a decent chunk of time. Plus, what even IS a functional adult? I’m not sure I’m one and I’m almost forty, LOL. ~Annie got some great presents for her birthday. I think her favorite gift was a pair of Heelies, those horrifying shoes that have wheels in the heels. I say horrifying because watching her try to roll around in them makes me cover my eyes and wait for the inevitable trip o the emergency room. ~I gave Annie these tall black boots that I REALLY wish came in my size. ~She also received just about every single unicorn item of clothing that Target offers, LOL. ~I *love* the sports clothes that Justice sells. They make sports fashionable! Annie is all set with their softball line, and she has a few basketball items, too! Happy 9th Birthday sweet girl! 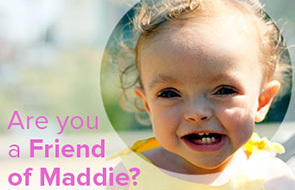 I must say, she reminds me of Darla from the Little Rascals – from her looks to her beautiful personality! Hope the week is kind to you so you can get back to feeling like your normal self. For some reason, Heather, nine was the has been the hardest one for me for all of my kids. Not ten (double digits), not fourteen. Nine IS halfway and it seems crazy, but then think about all of the things you have taught her already. Also, thinking about the next nine years is like thinking about trying to eat all of your meals for the next nine years in one sitting. A day at a time!